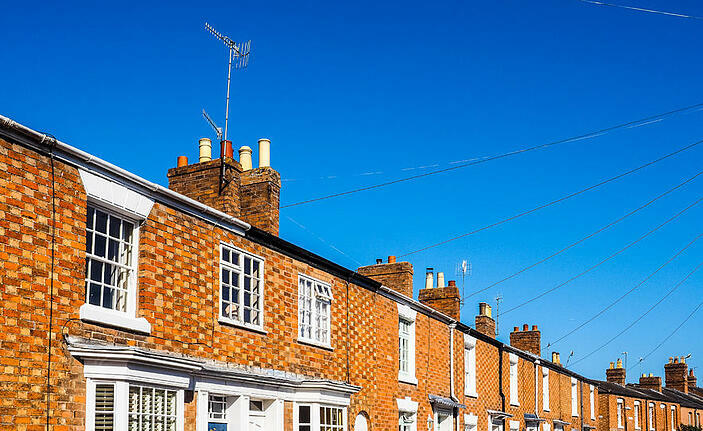 How is rental income taxed on jointly owned property? The situation where a married couple or civil partners jointly own an investment property that they let out is a familiar one, but when it comes to the rental income, special rules apply. Where a property is owned jointly by a husband and wife, the default position for income tax purposes is that each spouse is treated as receiving 50% of the income, regardless of who actually receives what. This may not be the most efficient allocation from a tax perspective. David and Charlotte are a married couple. They jointly own three properties as joint tenants, which they let out. The rental profit is £20,000 a year. David works in the City and is an additional rate taxpayer. Charlotte works part-time as a florist earning £12,000 a year and is a basic rate taxpayer. The rental income is split 50:50 and each spouse is treated as receiving rental income of £10,000. Tax of £4,500 (£10,000 @ 45%) is payable on David’s share of the rental income, whereas tax of £2,000 (£10,000 @ 20%) is payable on Charlotte’s share of the income. Tax-wise, this is not the best result. If Charlotte were to be taxed on the whole £20,000 of rental income, the tax payable would be £4,000 (£20,000 @ 20%), rather than the £6,500 currently payable by the couple – a saving of £2,500. It is possible to override the default position if the property is not owned in equal shares and elect to be taxed in relation to the actual ownership and income split by completing form 17, Declaration of beneficial interest in joint property and income. The form is available to download from the Gov.uk website at www.gov.uk/government/publications/income-tax-declaration-of-beneficial-interests-in-joint-property-and-income-17. It is worth noting that from a capital gains tax perspective, assets can be transferred between spouses and civil partners on a no gain no loss basis if it is deemed worthwhile to alter the underlying ownership and consequently the actual income split. A form 17 declaration can be made by married couples and civil partners who hold property jointly, who actually own the property in unequal shares and are entitled to the income arising in relation to shares, and who want to be taxed on that basis. Greg and Jack are in a civil partnership and own a flat as tenants in common, which they let out. The rental income is £16,000 a year. Greg owns a 75% share of the property and Jack owns the remaining 25% share. Greg is a basic rate taxpayer and Jack is an additional rate taxpayer. Under the default position, each would be taxed on 50% of the rental income - £8,000 each. As a basic rate taxpayer, Greg would face a tax bill of £1,600 (£8,000 @ 20%) and Jack would face a tax bill of £3,200 (£8,000 @ 40%) – a combined bill of £4,800. In this instance, it would be beneficial for Greg and Jack to be taxed on an actual basis and to make a form 17 declaration. Taking this route would mean that Greg would be taxed on £12,000 of the rental income (75% of £16,000), on which he would pay tax of £2,400 (£12,000 @ 20%), and Jack would be taxed on the remaining £4,000, on which he would pay tax of £1,600 (£4,000 @ 40%). Their combined tax bill would fall to £4,000, a saving of £800. Beware, however, it will not always be better to be taxed by reference to actual ownership – sometimes the default 50:50 split will give a better result. Frank and his wife Julie own a property as tenants in common. The property is let out and generates rental income of £10,000 a year. Frank owns 80% of the property and Julie the remaining 20%. Frank is a higher rate taxpayer while Julie does not work and has no other income. Under the default position their combined tax bill is £2,000 – Frank will pay tax at 40% on his 50% share of the income (£5,000), whereas Julie’s share of the rental income will be covered by her personal allowance. By contrast, electing to tax the income by reference to their actual shares would increase the tax bill to £3,200 as Frank would then pay tax at 40% on £8,000 (80%) of the rental income. Get in touch with Inform if you need further advice on rental income and jointly owned properties or any other tax related matter.